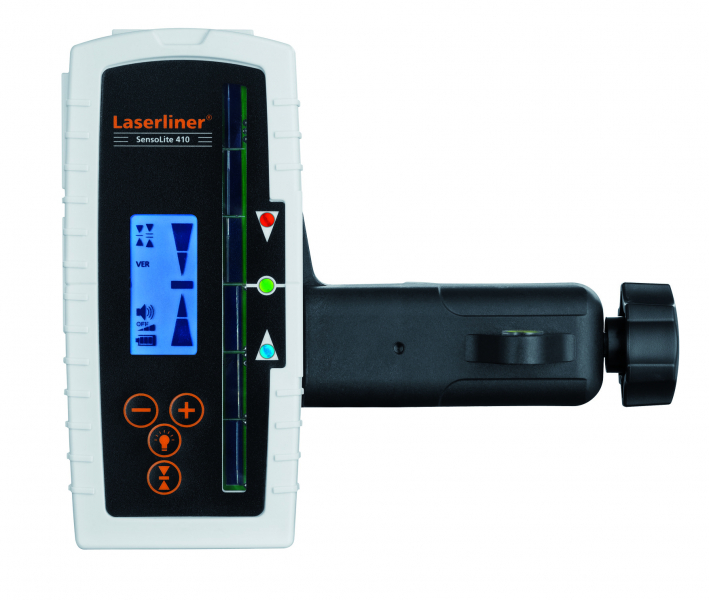 Extremely long laser reception range for quick laser acquisition at great distances. Robust waterproof housing with strong head and side magnets. LC displays at front and rear. Melodies indicate the level of the laser beam. Illuminated front LC display. Extremely bright 3-colour LEDs are located at the front, rear and side for remote identification. Versus function: The receiver monitors the reference height of the rotary laser, effectively preventing false measurements. Visual and acoustic signals indicate when the laser beam moves out of the reference height, e.g. as the result of external influences acting on the rotary laser.